In mid-2018, the World Health Organization (WHO) released the 11th revision of its International Classification of Diseases (ICD-11), adding a disorder that’s of particular interest to gamers: gaming disorder. Considered akin to alcohol and substance abuse, gaming disorder is defined as a condition that occurs when an individual heavily prioritizes gaming over other interests and daily activities to the extent that negative consequences result. The introduction of the gaming disorder classification was met with skepticism throughout the gaming community, as many studies over recent years have indicated that playing video games may actually benefit your health. While the threat of gaming addiction is indeed a reality, gaming is being used in increasing numbers in mental health and counseling settings. Gaming has shown promise in reducing stress and anxiety, and may lead to improved brain function. Therefore, there are numerous benefits of using gaming — in tandem with other treatment methods including medication — in patients with mental health disorders, from anxiety and depression to PTSD. 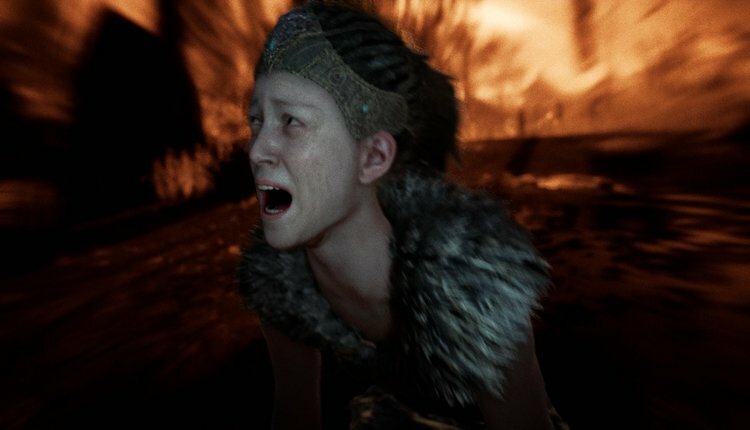 Hellblade: Senua’s Sacrifice is a popular game that deals heavily with mental illness. Source. Anxiety disorders are the most common type of mental disorders in the United States, reports the Anxiety and Depression Association of America, affecting approximately 40 million people in the U.S. alone. While only about a third of those with an anxiety disorder receive treatment, the disorders are highly treatable. Mental health professionals continue to search for effective treatment options, and the benefits of gaming as a form of treatment have been widely touted in recent years. Using video games as a mental health treatment option has its roots in game theory, which was introduced as early as 1975. According to Bradley University, games and play allow patients to feel unencumbered by normal, daily pressures, resulting in the ability to more freely express themselves. This fact can help counselors and other mental health professionals get to the root of a patient’s disorder, leading to more effective treatment. Gaming therapy has been found to be especially helpful in treating youth, who are used to interacting with technology almost constantly throughout the course of their day. Introducing games in a counseling or therapy setting can involve simply allowing a child to play a game for a short time to relieve stress. Or a mental health professional can ask their patient to play a cognitive behavior therapy (CBT)-based game, which is designed to challenge users to progress past milestones and collect rewards. CBT games continue to evolve along with gaming technology. Virtual reality has changed the gaming landscape, allowing users to interact with their environment like never before. And VR tech isn’t only used in entertainment-based games. In recent years, VR has entered a number of industries, including film, social media, military training, and game design itself, in the form of 3D engines. Mental health professionals are also experimenting with the tech in counseling settings. In 2016, a team of game designers unveiled their immersive DEEP-VR experience, which guides users into a soothing underwater environment where they learn to combat the symptoms of stress and anxiety. In DEEP, the user’s breath controls their movement, leading them further into exploration of their surroundings. DEEP’s game mechanics “encourage users to practice tolerating, managing, and eventually overcoming, feelings of anxiety and depression.” Patients can then use the breathing techniques developed in DEEP to help overcome symptoms in real-world settings. While more research is needed to study DEEP’s efficacy in mental health settings, the groundbreaking game is sure to invite competition. Forward-thinking VR companies such as Oculus, which was acquired by Facebook in 2014, are constantly developing new games that can be used in a wide variety of settings. While Facebook CEO Mark Zuckerberg bought out Oculus because he considered VR tech to be “tomorrow’s newest social and communication platform,” the company fully grasps the far-reaching implications of VR tech and will continue to expand its offerings into the future. As the gaming industry evolves, game developers and designers need to continue to design gaming experiences that are engaging and easy to use, and that can be used in a wide variety of settings. Future VR and software developers should also take note of the increasing use of gaming in mental health treatment. It just may be the next step in the evolution of gaming and VR. Developers should also have at least a basic awareness of common types of mental illnesses and how patients respond to treatment in order to create games that will meet the needs of those patients. Some veterans living with PTSD have found that exposure therapy is an effective means of treatment, and the treatment is increasingly being performed with help from VR tech. In exposure therapy, the patient is repeatedly brought back to the memory of their trauma until the situation is no longer triggering. For veterans, VR can transport them back to the combat zone while they physically remain in a safe environment, helping to provide symptom relief and closure. Gaming therapy has shown promise in the mental health arena, and more mental health patients can expect to find relief as the gaming industry continues to expand and evolve. Game designers should keep the needs of all users, including the mentally ill, at the forefront of their minds as they continue to develop new games and immersive experiences, and mental health professionals should integrate gaming therapy into their current treatment plans so that further studies can be conducted. Whether an individual suffers from anxiety, PTSD, or another form of mental illness, video games and gaming therapy may hold the key to symptom management.